Commercial Mixed Use Building. High Visibility & High Traffic Location! 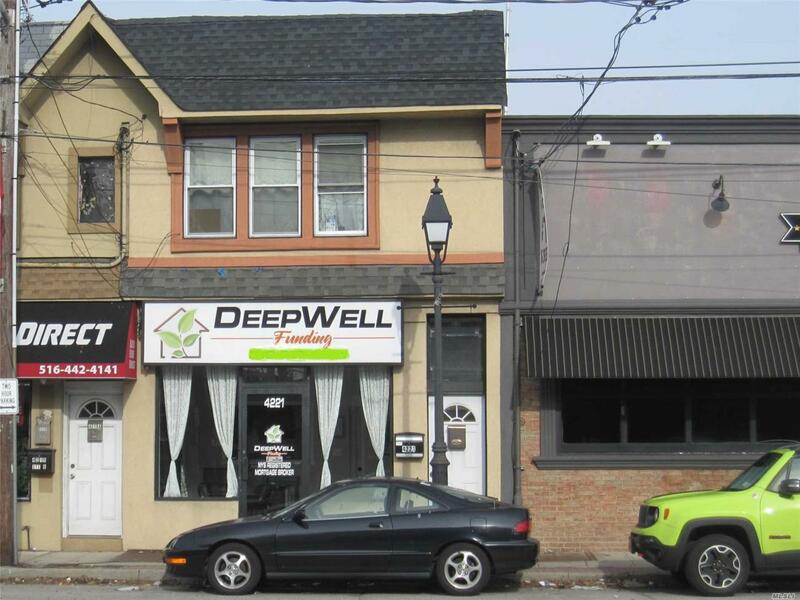 1st Floor Storefront 3 Rms,(13X11, 7X26, 15X25) + 1/2 Bth & Full Unfin Bsmt W/Exterior Bilco Door Access & Interior Access.Street & Rear Parking Lot Is Unlimited.Minimum 1 Yr To Long Term Lease Preferred.Tenant Pays Broker Commission,2 Months Security & 1st Months Rent When Lease Signed.Rental Has Electric & Gas Meter. $1,500 A Month Rent Includes All Utilities & Cac.